The first thing Jo Minjoon felt wasn’t surprise or happiness. He was annoyed. He was concentrating on the food, and didn’t want to get distracted by the alarm. Jane said that and laughed. Jo Minjoon, after smiling back at her, concentrated again on the food. What was used on the meat? It didn’t look like something so ordinary as salt. On the ingredients window the herbs and the salt were separated, however he wondered if herb salt was used. The saltiness and the aroma of the herbs were so excessive they seemed to be mixed. When he felt that subtle difference, he didn’t know why but felt joyful. He felt like his tongue was trained. When the alarm window appeared he could once again affirm it. You could sense the flavor more clearly after tasting it. The herb salt’s unique flavor seemed to touch his heart. Jo Minjoon savored the hot meat juices in his mouth slowly. And at the same time he quickly read the recipe. It was more ordinary than he thought. You mixed fried onions, beaten eggs, bread powder and minced beef. 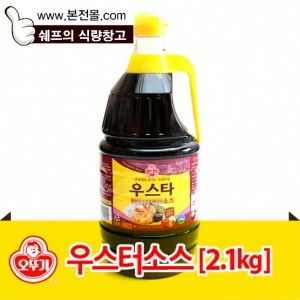 The point that minced beef was used was different from the normally used hamburger steak from Korea. It wasn’t chopped meat but minced meat so while chewing you could feel the meat more shallowly, and at the same time the beef juices felt more abundant. Even the point that it didn’t use pork meat was different. In Korea you mixed the chopped pork meat with beef on a 1-1 ratio. So the softness of pork meat had the tendency to sustain the strong flavor of the beef, but on this hamburger there was no pork. Maybe it was because of that, that he felt more unfamiliar. After that, the next steps on the recipe were quite ordinary. You fried the hamburger steak on an oiled pan, you put on some pepper on the brown sauce and put it on the hamburguer. For a dish that didn’t have any secret preparation to get 6 points, maybe it meant that it was an essentially basic dish. After eating half of the hamburger steak, Jo Minjoon moved his fork to the mac and cheese. He didn’t know what would be the final flavour if he ate two dishes that were strongly seasoned, so he purposefully ate the least seasoned hamburger steak first. Honestly speaking mac and cheese wasn’t a dish Jo Minjoon liked. He didn’t like strongly seasoned dishes, precisely speaking he didn’t like dishes that made him feel pressured. He preferred simple flavors instead of complicated ones, and a simple sauce or only salt instead of sauce mixed with various ingredients. Because of that Jo Minjoon felt that the mac and cheese that on top of that was added salt to be too strong. Wasn’t it on the level that you couldn’t finish melting cheese so you had to boil it down. And on top of that it was added milk, so sincerely it wasn’t an easy dish. Precisely speaking mac and cheese was called macaroni and cheese. To explain it simply you cooked butter, cheese and milk with macaroni until it boiled down. It was like an American topokki(korean spicy soft rice cake). Only that instead of the spiciness it was greasy. However, when he opened his mouth to eat a bite, it didn’t feel as greasy. The flavor was also different from the one he tasted in Korea. It was slightly spicy and also a refreshing aroma could be felt. Jo Minjoon with a hint of admiration opened his mouth. Lucas said and put on a smile. The recipe alarm popped up, but Jo Minjoon kept to analyzing the flavors on his head. But he couldn’t help but frown at the aroma of pepper. Because there wasn’t even a single black powder in it. Of course. If you could taste pepper but see none, then that meant that it contained white pepper. White pepper was made by steaming the black skin of the pepper and grating the white stones. It’s aroma was weaker than normal pepper, but it was commonly used cooking white coloured dishes. Jo Minjoon laughed and said as if he had won a quiz contest. The conversation stopped for a while. Jo Minjoon put some mac and cheese in his mouth and started to relish the flavour. He didn’t feel rejection towards the aroma of cheese that flowed through the tip of his tongue and the top of the inside of his mouth. The spicy taste seemed to be mustard. The herbs aroma that came along with the cheese was quite familiar. Parsley. However he was quite confused with the sour flavour, and it wasn’t even vinegar. At the end Jo Minjoon admitted defeat. Jo Minjoon opened the recipe window before him and enlarged the ingredients section. Macaroni, cheddar, cheese, butter, flour, milk, worcestershire sauce, dijon mustard, parsley, white pepper. Worcestershire sauce. For koreans it was better known as uster sauce. Only then did Jo Minjoon get to know of the identity of the sauce. This sauce was made by boiling onions, carrots, celery, etc. had a sour and salty flavor. And for korean people, it had a really exotic aroma, but it seemed that he couldn’t feel it because it was hidden under the mac and cheese’s aroma. He didn’t know if the recipe was an ordinary one. Because it was something he didn’t normally make. Even if he were to make it, he wouldn’t use the main recipe but would guess and put some milk, cheese and would watch tutorials. The roux made by frying butter and flour was an ingredient that if put moderately on the mac and cheese it would make the cheese stretchy. The recipe was simple. After boiling the macaroni, you mixed milk with the roux and made it long, and on top of that you put worcester sauce, dijon mustard and spices. The next step was to put cheese, and after that was the turn of the macaroni. At first glance it would seem complicated, but in reality it wasn’t that hard to make. It was when Jo Minjoon tried to continue what he was saying. He heard someone closing the door of the entrance. At that moment Lucas’s face became stiff as if he were nervous. Jo Minjoon looked at the entrance. A golden haired student was coming into the house. She seemed to be a middle or high school student, but it was difficult to know beyond that. Because it was difficult to determine a white person’s age by sight. Her round blue eyes were opened really big and were staring at Lucas. Jessie’s eyes were twitching. Jo Minjoon was drawn in another’s family fight, so he could only be seated nervously. He felt that his stomach was going to get upset. Jane yelled sternly. Jessie glared at Lucas disappointedly. Lucas could just look at Jessie with regret. Jessie bit her lips. With that, the discussion ended. Jessie went upstairs stomping. A banging sound of the door could be heard and at the same time it became quiet on the kitchen. Lucas said with a sigh. Jo Minjoon said that and waved his hands. Jane went upstairs saying that she will have a conversation with Jessie, and only Lucas and Jo Minjoon remained in the kitchen. Jo Minjoon let a silent sigh. Uster shire sauce = Worcestershire sauce? Uster shire sauce? Surely they don’t mean Worcestershire sauce? I love cooking, and I would love a good cooking story, but this is turning out a disappointment in the fact checking department. I’ve noticed some other niggles in previous chapters, but this is getting out of hand. The precise Worcester recipe is secret, but I highly doubt celery and carrots are involved, and since making it is a process that takes years of pickling and maturing, I highly doubt it’s something anyone not outrageously insane would make at home because the store version didn’t cut it. Ingredient wise, there’s a chance “uster sauce” could refer to Japanese Bulldog tonkatsu sauce, which is a Worcestershire derivative, but as I understand it that’s more of a condiment than an ingredient, and calling it “uster shire sauce” seems wrong. Other than that, “but in this hamburger there was no beef” maybe should be “no pork”, since it said above it was a beef burger. “you mixed milk with the sack and made it long” wat? I don’t even. Things get lost in translation. For someone who isn’t well versed in the area even more so, since the person is dealing with words they don’t know and things they never heard of. I am sure that a lot of people botch buddhist and kung fu terms in the wuxia novels as well, but none of us know enough to point those mistakes out. Ultimately, this is a free work. There is no need to use that tone. Bagelson is the translator for Doulou Dalu on Blue Silver translations. Presuming that he is the real Bagelson. You’re lecturing a translator about the difficulties of translating. It isn’t the real bagelson. That becomes evident with a single click. As a person who lives in the United States, we don’t say ‘the USA’. Instead, we say ‘the US’. I am pretty sure by sack you mean roux. At least they describe the sack as a frying combination of frying oil and flour which is almost how you make a roux. Although I have never heard of it making it stretchier only thicker. uster? maybe it’s oyster sauce?